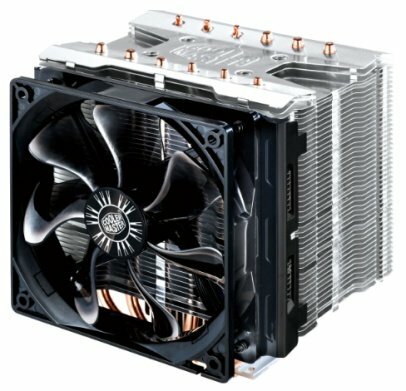 Cooler Master shows off the Hyper 612S, this cooler will hit the market in September for 44.95EUR. Are you tired of hearing your CPU HSF wind up and down? Worse yet, is it clearly audible even in idle? Or maybe you’ve decided it’s time to try your hand at overclocking but your current cooling solution can barely keep it cool at stock speed? Cooler Master has just come to your rescue with the Hyper 612S CPU coolers! The Hyper 612S offers a powerful modular base for your ultimate CPU Cooling solution. With the use of the silent mode adapter the 612S can run at incredibly low noise without sacrificing too much cooling performance thanks to its 6 long Heat pipes and massive fin surface area. Or you can add an additional 120mm fan to boost the air throughput and improve its cooling performance even further. The Hyper 612S CPU coolers are designed for optimum heat dissipation at low fan speeds thanks to wider fin gaps, a special fin blade design, and a precise Heat pipe layout that has all 6 Heat pipes crossing the CPU’s “hot spots”. 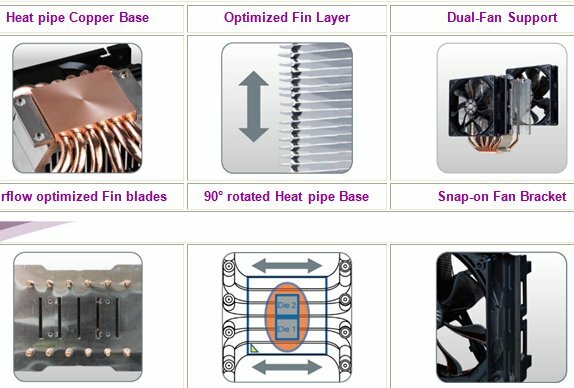 This special Heat pipe layout turns them into 12 virtual Heat pipes with direct contact to the hottest parts of the processor. For ease of installation and cleaning the Heat sink features a snap-on fan-bracket, which lets you replace or remove the fan to brush dust out of the Heat sink within seconds. The Hyper 612S features a silver Heat sink top and comes bundled with a silent fan that can be configured to run in super low noise mode with the bundled silent mode adapter.